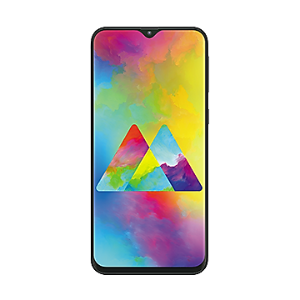 SAMSUNG GALAXY M20 AND M10 LAUNCHED IN INDIA PRICE,SPECIFICATIONS.!! Samsung Galaxy M20 and Galaxy 10, phones part of new Samsung M series of smartphones, were officially launched in India on Monday. The new Galaxy M phones are being marketed as "India-first" smartphones and targeted to the millennials. 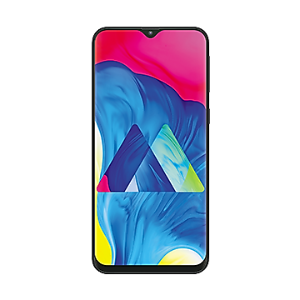 Samsung M20 price in India, Samsung Galaxy M10 price. The Samsung Galaxy M10 price in India starts at Rs. 7,990 for the 2GB RAM/ 16GB storage variant, while the 3GB RAM/ 32GB storage model is priced at Rs. 8,990. The Samsung Galaxy M20 will be available at Rs. 10,990 for the 3GB RAM/ 32GB storage configuration, while its 4GB RAM/ 64GB storage version will go on sale at Rs. 12,990. Samsung Galaxy M-series models will go on sale through Amazon.in and Samsung India e-Store starting February 5. The new phones will come in Charcoal Black and Ocean Blue colour options. The dual-SIM (Nano) Samsung Galaxy M20 also runs Android 8.1 Oreo based on Samsung Experience 9.5 UX, but it features a 6.3-inch full-HD+ (1080x2340 pixels) Infinity-V Display along with an 19.5:9 aspect ratio. The smartphone is powered by an Exynos 7904 SoC, paired with 3GB and 4GB RAM options and Mali-G71 MP2 GPU. there is a dual rear camera setup along with a 13-megapixel primary sensor -- sporting an f/1.9 aperture and a 5-megapixel ultra-wide sensor. An 8-megapixel sensor along with an f/2.0 aperture is available at the front. The Galaxy M20 has 32GB and 64GB of onboard storage options, both of which are expandable via microSD card (up to 512GB). There is a fingerprint sensor at the back, and the phone also comes with a face unlock feature. Besides, the smartphone packs a 5,000mAh battery that supports fast charging via USB Type-C. The dual-SIM (Nano) Samsung Galaxy M10 runs Android 8.1 Oreo on top of Samsung Experience 9.5 UX and features a 6.2-inch HD+ (720x1520 pixels) Infinity-V Display panel along with an 19:9 aspect ratio. The smartphone is powered by an Exynos 7870 SoC, paired with 2GB and 3GB RAM options. Samsung has provided a dual rear camera setup on the Galaxy M10 that includes a 13-megapixel primary sensor along with an f/1.9 aperture and a 5-megapixel secondary, ultra-wide sensor. For selfies, there is a 5-megapixel sensor at the front. The smartphone has an ultra-wide mode.